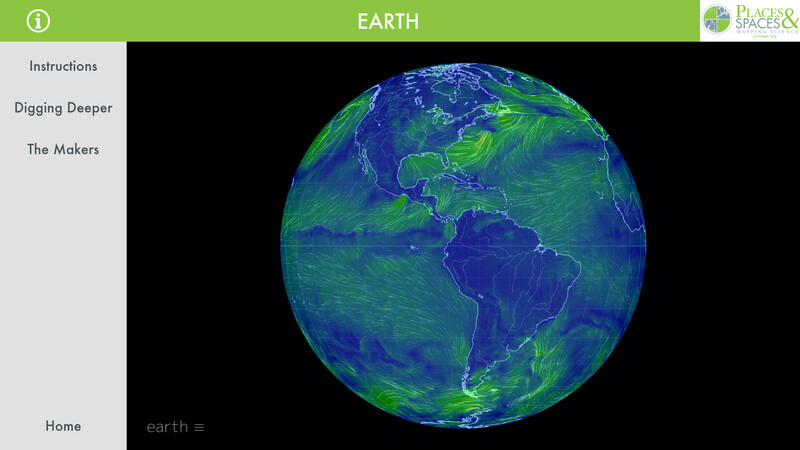 IU’s Advanced Visualization Lab enables interactive iteration of Places & Spaces: Mapping Science. Exhibit in the CDC Museum in Atlanta enabled by IU cyberinfrastructure open until June 17, 2016. 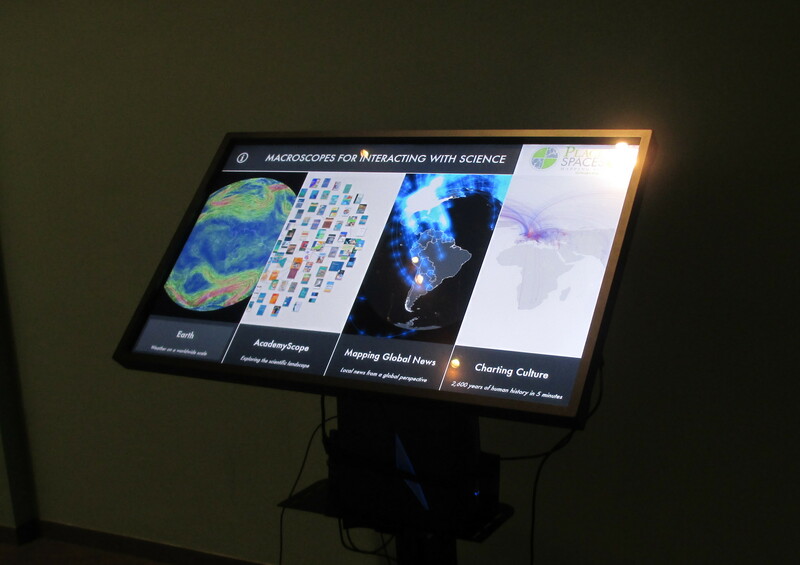 The staff of Indiana University’s Advanced Visualization Lab (AVL) collaborated with the Cyberinfrastructure for Network Science Center (CNS) to present interactive data visualizations in a multi-touch kiosk. 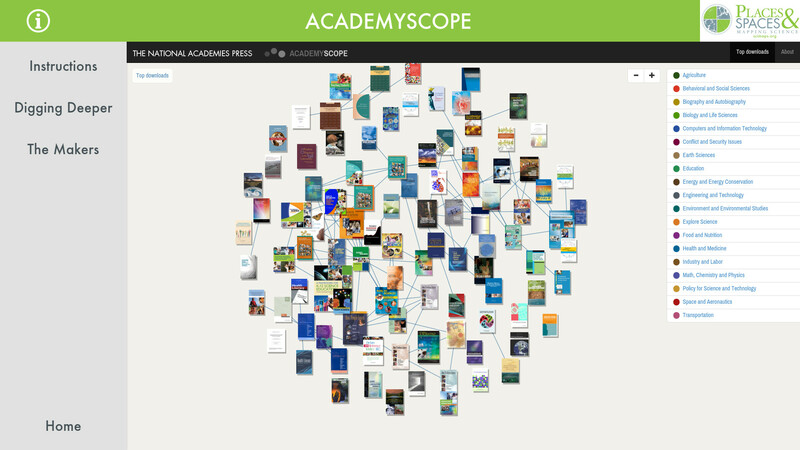 The visualizations were submitted to the CNS by experts around the world as examples of “macroscopes,” interactive tools that help the user focus on patterns in data that are too large or complex to see unaided. The macroscope kiosk debuted at the David J. Sencer Centers for Disease Control (CDC) Museum in Atlanta on February 4, 2016, as the 11th iteration of the traveling exhibit, Places & Spaces: Mapping Science. 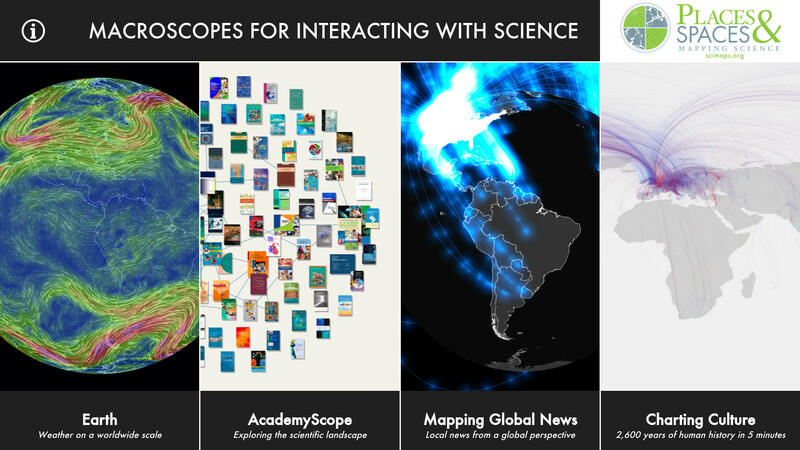 Interactive data visualizations, or macroscopes, have great potential as tools for exploring, understanding and communicating science. 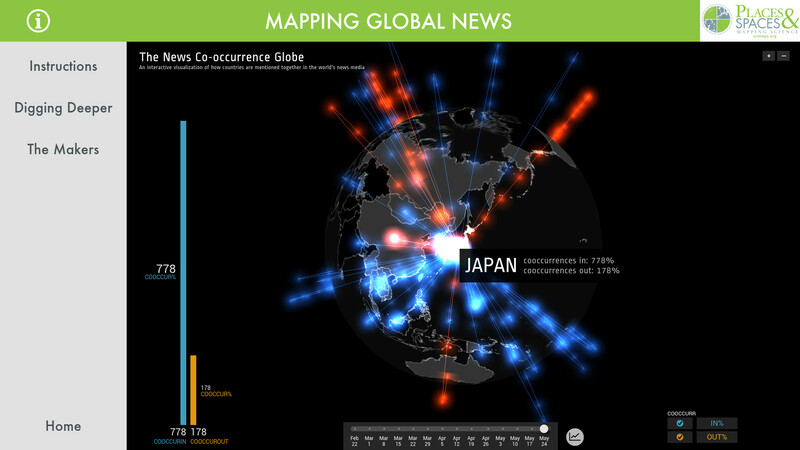 They empower individuals to interact with data and to make their very own maps. In the first 10 years of Places & Spaces, the exhibit was shown at 290 venues around the world and generated nearly 3.5 million website visits. In its 11th year, the exhibit will spend five months at the CDC Museum, which hosts about 90,000 visitors each year. The macroscope kiosk was based on the design of the AVL's IQ-Table v2 (version 2), a low-cost multi-touch table built with commercial, off-the-shelf hardware and open-source software. AVL staff provided guidance on hardware purchase and assembly, and created software to allow users to explore the macroscopes. The macroscope kiosk is the first deployed instance of the AVL's new multi-touch software framework, an approach for building touch applications with modern web development tools. AVL is a group within University Information Technology Services’ Research Technologies, an affiliate of the Pervasive Technology Institute. Dr. Katy Börner will help formally open the Places & Spaces: Mapping Science exhibit on February 4-5, 2016, at the CDC Museum in Atlanta. In a time where people long to find answers to health questions, the exhibit explores ways to find answers through tools of information visualization. IU’s Advanced Visualization Lab is funded through the Office of the Vice President for Information Technology; is a unit of UITS Research Technologies; and is affiliated with the Pervasive Technology Institute. Previous articleCould IUPUI startup be the next Facebook?